ANZAC cheesecake has an ANZAC biscuit base and a cheesecake filling with a hint of coconut. 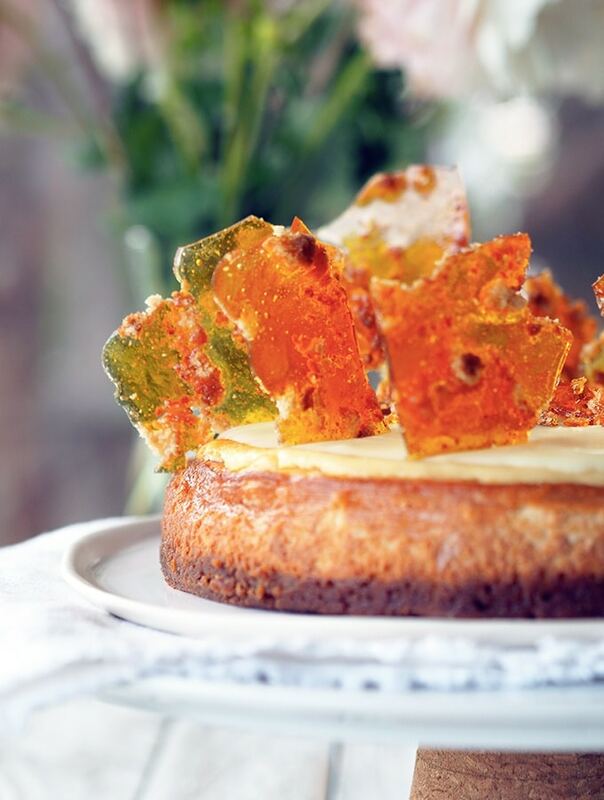 Gloriously crowned with White Chocolate Ganache and ANZAC Biscuit Brittle. Who needs ANZAC biscuits when you can have an ANZAC cheesecake! I’m really having a lot of fun playing around with cheesecakes at the moment. There has been my matcha and Oreo creation, a summery mango cheesecake amongst a few others. With cheesecake seemingly running through my veins at present. 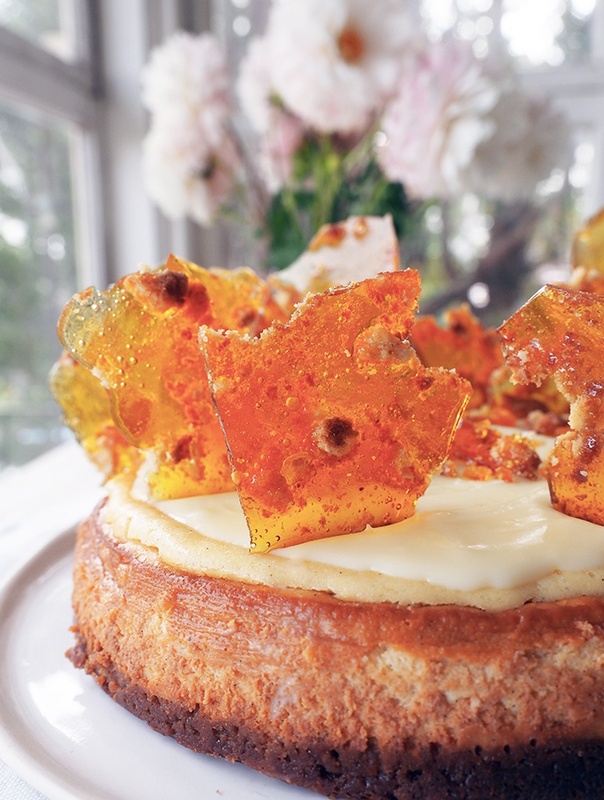 I thought, why not an ANZAC inspired cheesecake? The base is made from crushed ANZAC biscuits. You can use store bought. If you want to really make this ANZAC cheesecake from scratch you could whip up a homemade batch. The filling is a pretty run of the mill basic cheesecake. The difference with my ANZAC cheesecake is the use of golden caster sugar (superfine sugar) and I swapped out normal cream for coconut cream. Coconut cream adds a subtle coconut flavour, a hint on your taste buds. Golden caster sugar gives the filling a slightly more caramel colour and flavour. I stress it is very very subtle and if you want to use regular cream and caster sugar feel free. 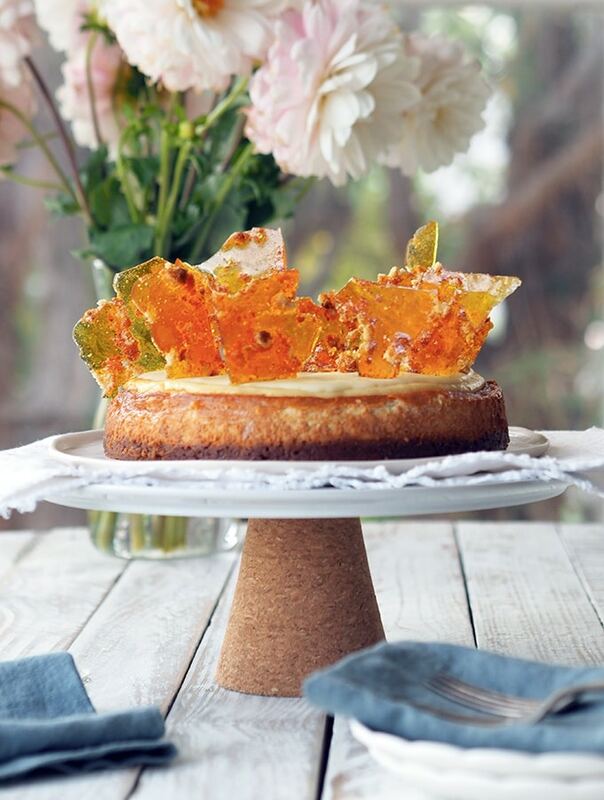 The ANZAC biscuit brittle is a fun idea and easy. Crushed ANZAC biscuits and dark caramelised toffee. I’ve been a little theatrical with my brittle placement. Shards sticking up in the layer of white chocolate ganache topping the ANZAC cheesecake. I love how the light shines through illuminating the shards. I add some crushed brittle on top as well. It’s up to you how you want to decorate. But, the shards do look rather impressive. There isn’t really any special equipment needed for this recipe. You will need a springform tin to bake your cheesecake in. If you don’ have one this would be a good opportunity to add one to your baking cupboard. ANZAC biscuits are the only ingredient you may have trouble obtaining if you don’t live in Australia or New Zealand. You can make your own following this recipe. Or substitute with your favourite sweet crunchy oat biscuit. Leftovers?? What leftovers? The Anzac cheesecake will keep in the fridge for a few days. Any brittle not used on the cake should be stored in an airtight container. Preheat oven 160°C (320°F). Line the base of a 21cm (8 inch) springform cake tin with baking paper. Grease the sides of the tin with butter. Blitz ANZAC biscuits in a food processor until they have formed a fine crumb. Put the crumbs in a medium size bowl, stir through the melted butter. When crumbs and butter are thoroughly combined place in the lined spring form tin. Press crumb on the base of the tin. I find using a flat bottomed thick glass perfect for smoothing out the surface and keeping it uniform in thickness. Once done place in fridge until required. Using a stand mixer or hand beaters, beat cream cheese, sugar and vanilla bean paste together until smooth. Add coconut cream to the cream cheese mixture. Beat until well combined. Pour cream cheese mixture into prepared spring form tin over the biscuit base. Place spring form tin on a lined baking tray and place in oven. The baking tray will catch any butter that leaks from the tin. Bake cheesecake for 60 minutes, until it is set in the centre. 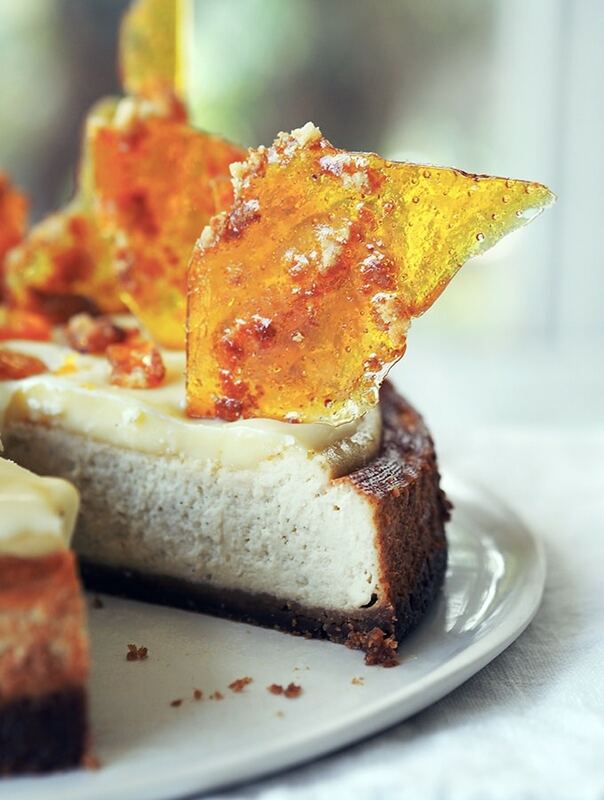 Once cheesecake has completely cooled top with white chocolate ganache. When ready to serve top with shards and crushed ANZAC biscuit brittle. Place finely chopped/grated white chocolate in a heatproof bowl. In a small saucepan bring cream to a boil. Pour cream over the white chocolate and cover with plastic wrap for 5 minutes. Remove wrap and stir white chocolate and cream until combined. Place in fridge to chill. 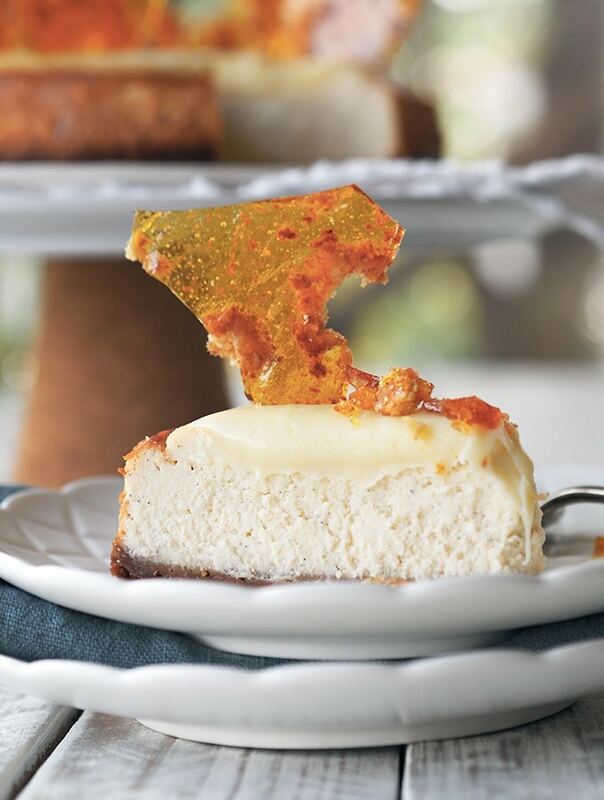 Once at a spreadable consistency top the cheesecake with ganache. Line a tray with baking paper. Scatter roughly crushed ANZAC biscuits over the paper. In a pan place caster sugar (superfine sugar) and ¼ cup (60mls) water, stir to combine. Do not stir the mixture again. Bring sugar mixture to a boil and continue boiling until it becomes a caramel colour. Pour sugar mixture over the ANZAC biscuits and leave to harden. Once hard break into shards and store in an airtight container until you are ready to use.